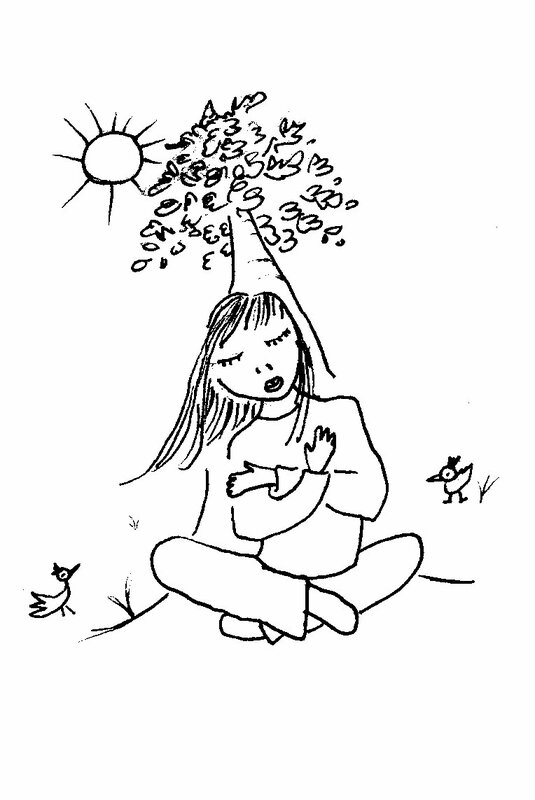 Imagining being a tree can help you feel your own power and strength. It will help you open to the support that is available around you like sunshine. You can do this anywhere: sitting or standing, inside or outdoors. Remember to keep breathing. Imagine you are a tree. Take a deep belly breath and let it out slowly. Feel the warm sun on your branches, and a breeze gently ruffling your leaves. Breathe. Listen to the sounds of the birds. Take a deep breath and then let it out slowly. Notice your trunk at your center. It is a highway fro energy moving up and down between heaven and earth. Breathe. Reach your tree roots deep, deep into the earth. Breathe. Sense the water and other nutrients that are available deep underground. Take a belly breath and let it out slowly. Allow the minerals and water from deep in the earth to flow up through your roots, up your trunk, and into to your branches and leaves. Breathe. Feel your leaves fluttering in the sunshine. Take a deep breath and let it out slowly. Enjoy the feeling of being a tree.